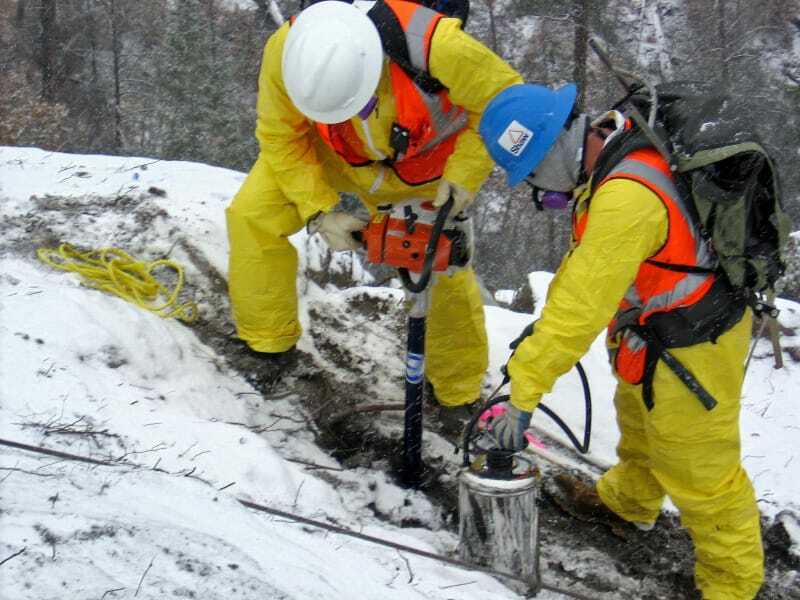 Detailed coordination efforts allowed Gilbane to safely remove Low Level Radiological Waste (LLRW) and hazardous waste in an ash pile on a steep slope at LANL. Activities included sampling, characterization and waste characterization of LLRW and hazardous waste. At Los Alamos Airport, Gilbane managed the removal of a large ash pile containing low-level radioactive materials, PCBs, PAHs, lead, metals, asbestos, dioxins, and pesticides near LANL. The ash pile, which was associated with a DOE/LANL incinerator that operated from the 1940s to the 1970s, covered a 30,000-square-foot area and was up to 10 feet thick. The site of the ash pile was scheduled for cleanup and closure as part of the DOE Land Transfer Project to Los Alamos County. 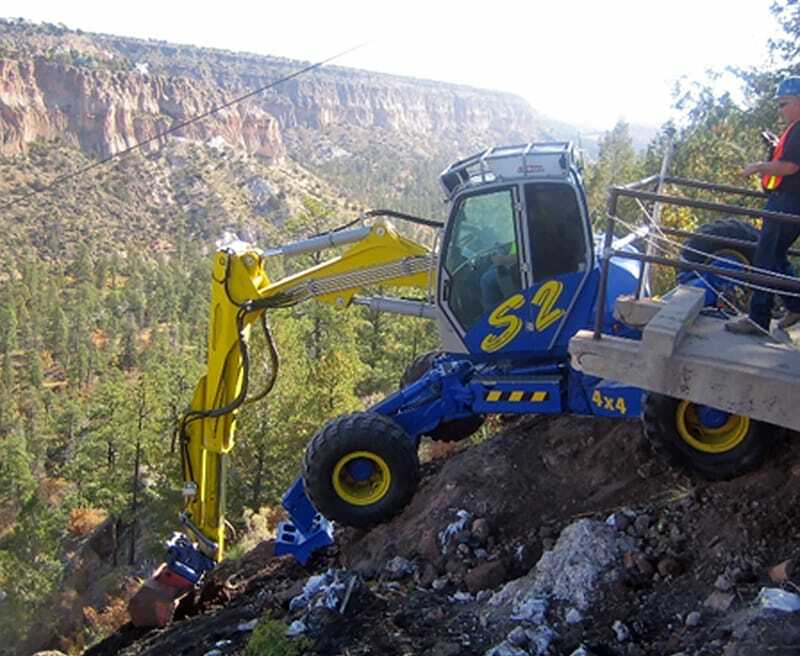 This project was unique because the ash pile was located on a steep hillside, which required Gilbane to perform sampling and removal activities on 70-degree slopes. Gilbane personnel experienced in rappelling performed the sampling, so they could safely reach the ash and obtain samples. Forward planning and focused safety operations were critical to the success of the project. Gilbane removed approximately 320 cubic yards of uncontaminated debris and 3,500 cubic yards of ash with metallic debris and impacted soil from the steep hillside using an innovative combination of specialized logging equipment and vacuum systems, as well as mechanical excavation and handpicking of the debris. Prior to identification of UXO and ACM, DOE had estimated that removal activities would require the use of a large dragline and cost over $10 million. Gilbane’s innovative use of specialized equipment and vacuum systems allowed for safe remediation and achieved over $5 million in cost savings.